Once again, Van Reid enthralls with a story filled with wonderment, romance, and old-fashioned adventure, from the catacomb-like underground of the Portland waterfront to a perilous night pursuit on the October coast. During the autumn of 1896 in Portland, Maine, feisty society columnist Mollie Peer believes that a little ragamuffin boy, known only as Bird, is merely the subject of a story that will propel her to the level of a true reporter. Instead, the chain of events she sets in motion, and the heroic people she comes to know, lead her to better understand her own valor and compassion as she follows the boy into the dark world of the nightrunners. 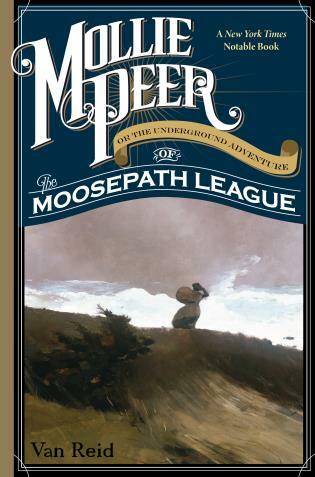 She is joined in her pursuit of these shadowy figures by the hapless, yet loveable members of the Moosepath League. This is an entertaining novel about the triumph of simply kindness.